Construction Employment To Further Grow In Near Future. The construction industry has much to look forward to in the coming years with housing set to continue its rising trend. The housing industry appears to be on a stable recovery course after the slump following the global financial crisis. The Housing Industry Association’s National Outlook report noted that for the first time in three years, the industry appears to be expanding rather than contracting. The Performance of Construction Index rose to 54.4 in October, higher than the 50 mark that separates expansion from contraction on the index. Looking at the numbers, the report indicated that new house starts would number around 160,000 in 2013/14 and 2014/15 before reaching up to 170,000 in 2016/17. Along with the surge in new house construction, there are also positive signs for renovations, with a reported 3.5 percent increase in an estimate of the monetary value of work done. This too is expected to peak in 4 years’ time. Comparing across states, Western Australia and NSW lead the pack with increases of 35 and 29 percent in new housing in 2012/13. Looking ahead, these two are also expected to show higher gains next year with upswings of a further 8 and 11 percent respectively. In renovation work too, these two take the lead along with the Northern Territory. These states should see the dollar value of investment in repairs and other work rise by 25.4 per cent, 12.2 per cent and 16.1 per cent respectively. 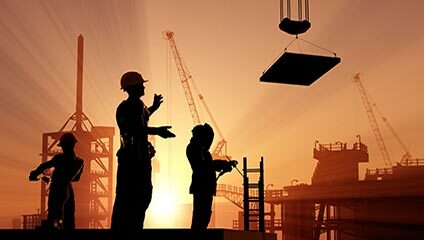 With improvements in the PCI and housing numbers and with other positive indicators in the form of housing finance and house prices data, the industry seems poised to take over from the mining industry in significantly sustaining the country’s economy. Chief Economist at CommSec, Craig James sees the housing industry as pivotal in lifting the economy for below-trend growth. Needless to say, the increased housing activity spells good times for employment in the construction sector. Already, construction employment grew for the first time in 40 months in October. With increased demand and greater tender approvals, the scope for employment is likely to further grow.